How Much Do You Know About Renters' Rights? Whether you are a renter, or perhaps you have recently become a landlord, how much do you really know about your legal rights and responsibilities? The U.S. Census Bureau estimates there are more than 100 million people living in rental housing in America today, which is just less than one-third of the population. Even as demand for rentals remains strong, a recent survey by Zillow and Ipsos shows confusion is high around basic rental laws among many renters and landlords*. Want to test your Rental IQ? Take Zillow's Rental IQ Quiz to find out. Answer 10 true/false questions, then see correct answers and know your score. 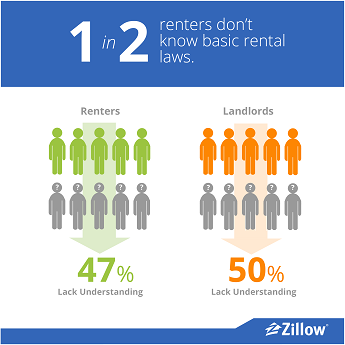 What exactly do renters and landlords lack an understanding about? • Who's responsible for rental repairs and maintenance. • What constitutes discriminatory advertising. • How to end a month-to-month rental agreement. An online version of the Zillow Rentals survey is available at Zillow Rental IQ Quiz, and contains the correct answers and detailed explanations to each question. 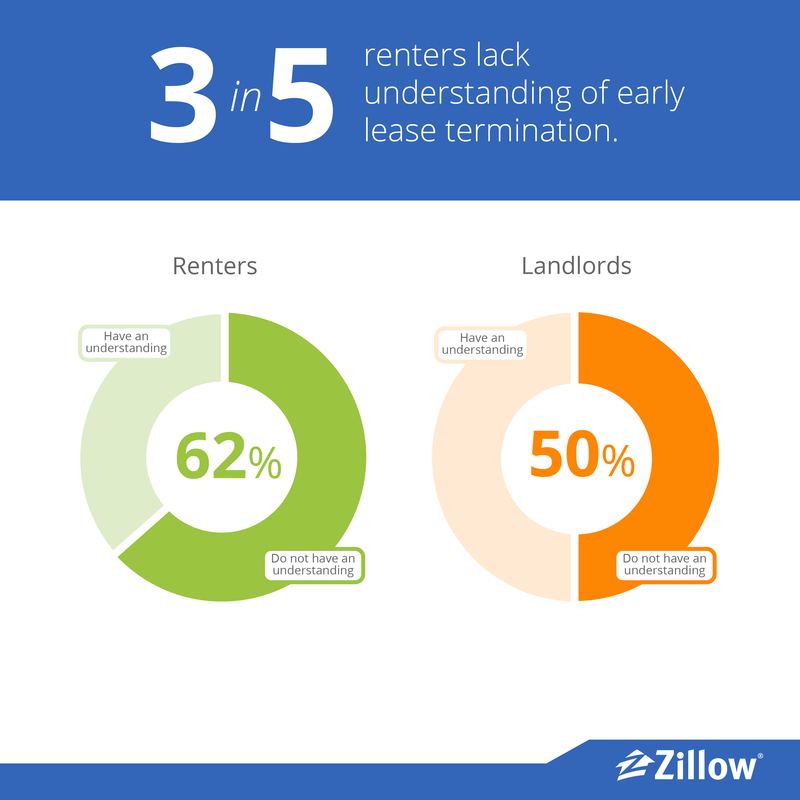 Zillow has tools and apps for both renters and landlords. 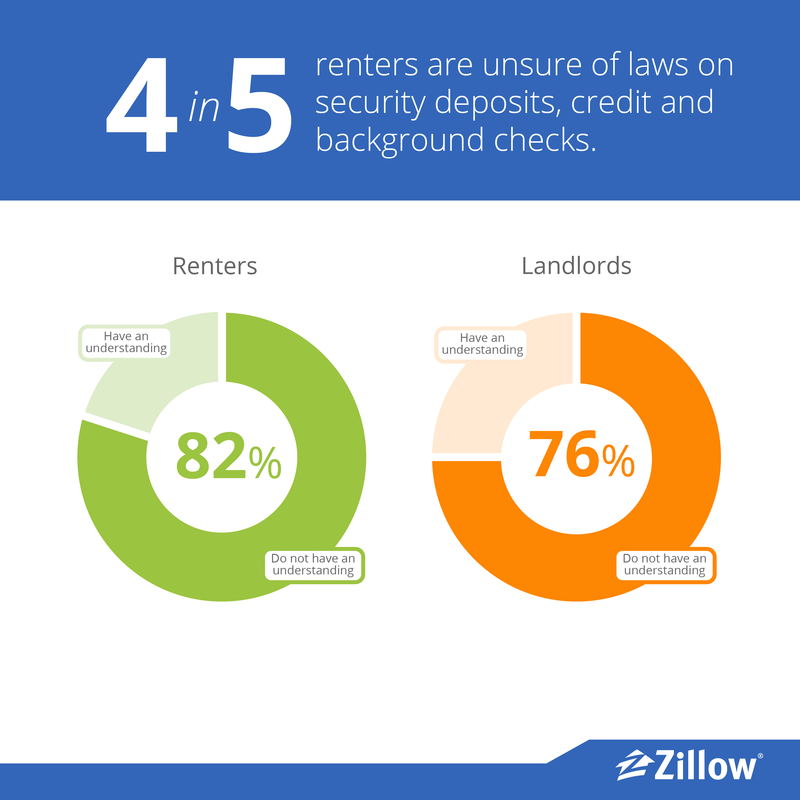 Renters can find the information they need to find and secure a great rental on Zillow.com® and with the Zillow Rentals App. Landlords can use Postlets® and the Postlets App to publish their listings to the Zillow Rental Network, the largest rental network on the Web in the U.S. comprised of the millions of rentals shoppers on Zillow.com and Yahoo! *Definition Note: This survey included those who rent the home they live in ("renters") and those who own the home they live in and own one or more additional homes, which they rent to a tenant ("landlords").